Serious or sassy, this 16″ choker length necklace is an updated classic. 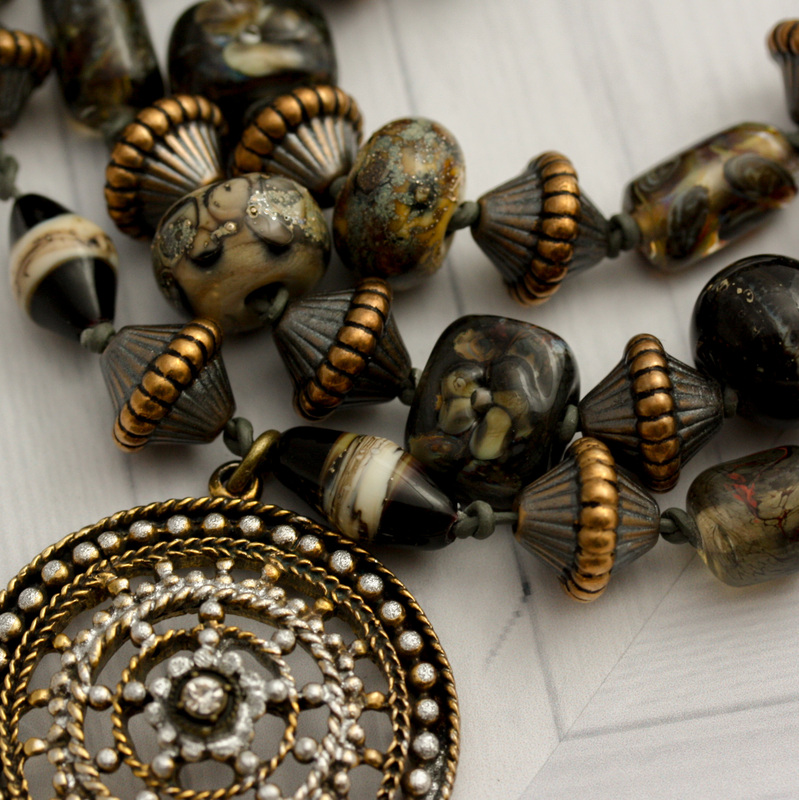 Three rows of handmade lampwork glass in smoke, vitrified ivory and flint knotted on gray leather cording frame the neck with alternating hand painted metal beads. The large medallion focal with its rhinestone bulls-eye and mix of silver and gold sit comfortably with the antique gold neck chain and magnetic closure at back. A quietly stunning piece.